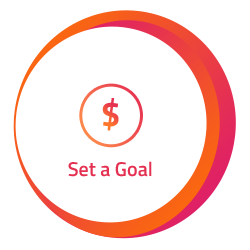 When signing up with hampsta you set yourself a goal of how much you would like to have to spend come December, and work out how much you'll need to pay each week/month to get there. Your savings are loaded to your personal hampsta card. You can login to your account at any time to watch your savings add up, and even increase your payment amount or frequency. From 1 December to 10 January each year your hampsta card gets activated and you can use it in any of the 1,400 partner stores nationwide, or use it to order gift cards from hampsta website. 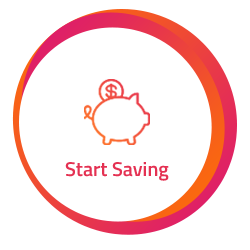 hampsta is the new way to enjoy flexibility and freedom while saving for a stress-free Christmas. Enjoy a guilt-free shopping spree in December and January where you can spoil yourself, family and friends with access to sales and specials at over 1400 stores nationwide. We have it covered so you can get your gifts and supplies with hampsta. You can use your hampsta Card until the 10th of January, so you can also set some money aside to take care of New Year celebrations as well! Shopping with hampsta is easy, simply take your hampsta card to a partner store, select your items and swipe your card – it’s just like having cash in your pocket but with the convenience of your savings being held on an EFTPOS style card. hampsta is the only Christmas programme that gives you total control, you make your spending decisions from how much you want to save, to where to shop, to what to buy. Not only that, you can rest assured that the New Year can start with a bang – without the worry or expense of the festive season credit card debt. Joining hampsta is easy, just click on the ‘Join Now’ tab above and you can get started. Alternatively, call our friendly team on 0800 364 364. Hampsta – experience the freedom of choice this Christmas. When do I get my hampsta Card? Once we have received your completed application we will send you a personalised hampsta card. You should receive this within 7-10 working days. 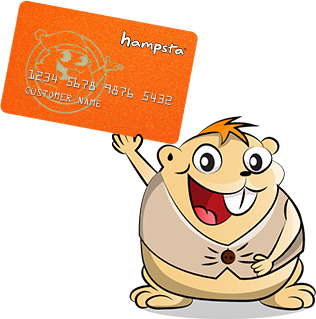 How do I use my hampsta card? Your savings will automatically become available on the 1st of December every year until 10th January the following year. Simply make purchases at any of our partner stores and pay with your hampsta Card; your hampsta Card works in the same way as an EFTPOS style card – but you don’t need a PIN number. Your access code allows you to view your balance and transactions online. Your access code will be sent direct to you with your hampsta card. When you receive your card you are strongly encouraged to change your access code. This is NOT a PIN number – it is purely for you to be able to see your account on-line. What should I do if I forget my Access Code? Email support@hampsta.co.nz and we will send you a new access code. When you receive the code you can log in but you are strongly encouraged to change your access code. What happens to my money if I don’t spend it all in the allocated time? Any money in your hampsta account that is not spent between the 1st December and the 10th January will be carried over to your savings program for the following year. Many of our Members leave some money in their account to get a head start on the next year. How do I load money onto my hampsta card? You can also top up your account at any time over the counter at any of the following participating retailers Mad Butcher, Noel Leeming, or Super Liquor. So whenever you are passing by one of these stores pop-in and add money to your account – any amount, no matter how small it all adds up. This service is unavailable from 27 November – 10 January and can only be done outside of those dates. Can someone else top up my card for me? Yes. They will need to use the hampsta trust account details you were given when you became a member, as well as ensuring that your hampsta customer reference number is recorded with the transaction. Once the funds have been received into the trust account they become the property of the hampsta card holder. Can I transfer money from one hampsta card account to another? Yes, please contact us to discuss the options. Where can I use my hampsta card? Please refer to the Retailers page for all current retail partner stores. How do I purchase goods with my hampsta card? Simply swipe the card when purchasing goods in-store, just as you would with an EFTPOS style card. Please be aware that as a PIN number is not required – it is important that you always ensure the safety of your hampsta card. How can I check my available hampsta balance? You can find out what your Available Balance is at any time by SMS*. Type HAMBAL cardnumber safetycode (separate with a space between each word) and send text to 8810. Note that this is a user-pays service at 50 cents per SMS. Please update your account details to include your mobile phone number. Alternatively, login to your hampsta account here to check your Available Balance. What should I do if a purchase I am making with my hampsta card is declined? If your card is declined you may have insufficient funds, check your balance via SMS, or log in to your account online or call 0800 364 364. Make sure you have your card number and access code handy. Can I choose what my card looks like? No, we only have our popular White card to choose from at this stage. You can request to have multiple cards to an account, if this is the case then hampsta holds no liability to lost or stolen cards and a additional card fee or replacement card fee of $25 will apply to cover personalisation, packing and secure delivery. Will my name appear on my card? Yes, when you apply to become a member online the name that you give us will appear on your card. What are the fees and limits associated with having a hampsta card? There is NO Joining Fee and only an annual account maintenance fee of $39.00. 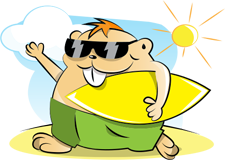 There are no transaction fees or hidden charges. The Programme strives to encourage members to commit to the account for atleast the first year of membership so as to reap the full benefits of the savings club programme. As such, you may close your account at any time EXCEPT during the first year of your membership prior to the start of your first Specified Purchase Period (ie. 1 December to 10 January). There will be an administration fee of $40.00 for closing an account. Once your account is closed, you may stop all payments to your account. Any funds remaining will be returned to you, EXCEPT for the first year of your membership in which case, the remaining funds in your account can only be redeemed through the hampsta Programme during the first Specified Purchase Period. Should you require a replacement card, a $10 fee will apply. The card will be delivered to you via Courier Post within 7 working days. Can I earn interest on my available balance on my hampsta card? Interest does not accrue on hampsta cards. The money you save is held independently in a Trust Account. It’s your money, not ours, so we keep it secure for you. 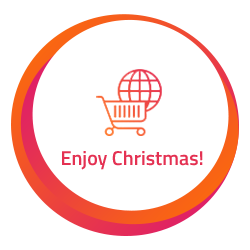 It is held in the Trust Account until you are ready to start shopping during the redemption period from 1st December each year. The retailers are reimbursed directly from the Trust Account. Your money is totally secure – and no other Christmas programme offers you that. You are not locked in to buying a hamper or product at inflated prices. You chose what and where to buy and enjoy the best prices of the day – made even better by many exclusive offers to our hampsta Members from our retail network. I’ve applied for a hampsta card and it hasn’t arrived yet. What should I do? What should I do if I can’t login to my account? What should I do if my hampsta card is lost or stolen? Contact us immediately to suspend your card, by phoning us on 0800 364 364 or e-mail support@hampsta.co.nz. What should I do if I forget my Access Code or want to change it? What should I do if I find transactions on my statement I haven’t made, or I think the transaction is wrong in some way? If any error regarding purchases made with, or contributions made to your card has occurred, you must notify us within 21 days from the date on which the error or errors have occurred. Phone 0800 364 364 or send an e-mail to support@hampsta.co.nz. Who can have a hampsta card? Anyone with a NZ Bank Account can have a hampsta card. There is no age limit, but a hampsta Card may not be used by minors (under 18 year olds) to purchase tobacco or alcohol. How can I get a hampsta card? You can join online by clicking here or contact Customer Service on 0800 364 364. Can I use my hampsta card to purchase Tobacco? The purchase of Cigarettes and Tobacco sales using the hampsta Savings Card is at the discretion of each retailer. Please check with the retailer for their own terms and conditions. Does hampsta sell Christmas Hampers? No, hampsta does not sell any products such as hampers. Hampsta gives you the choice of what, where and when to buy, and take advantage of the best prices of the day. With hampsta you get better value and greater flexibility. Can I get a reward if I introduce a friend to hampsta? Yes, we offer a bonus reward of $10 for each new Member you introduce to hampsta. There is no limit to how many people you can introduce so this is an easy way to boost your savings account. See this site for details. Which retailers can I go and do a in store top up to put money on my hampsta card? Mad Butcher, Super Liquor and Noel Leeming. How much notice must you give hampsta when you want to suspend a payment? At least 2 working days before the scheduled payment.